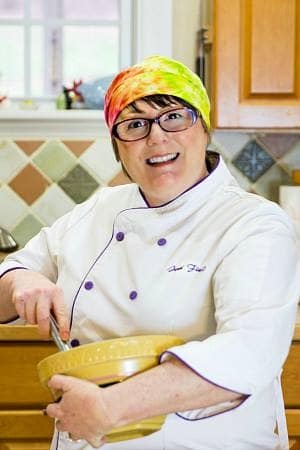 I think it was my friend Nelly from Cooking with Books who first showed me a picture of Chocoflan, or impossible cake, and I have had it in the back of my mind ever since. I mean, who wouldn’t want moist chocolate cake and smooth, creamy flan all in one bite? Nobody? I didn’t think so. The failed chocoflan brownies were delicious, but not exactly what I was going for! The first time I tried to make Chocoflan, I thought I’d be snazzy and use brownie batter and make individual ones in ramekins. The brownie batter steadfastly refused to rise up through the flan mixture and trade places, so I finally got annoyed and turned all the ramekins out into a greased 11″x7″ pan, swirled the flan around with the batter and let it bake until everything was set up. Then I cut a lot of it into wee pieces to use as a mix-in for ice cream. The rest of it, I ate. Because even though it hadn’t turned out the way I’d envisioned–not even close–it was ridiculously good. 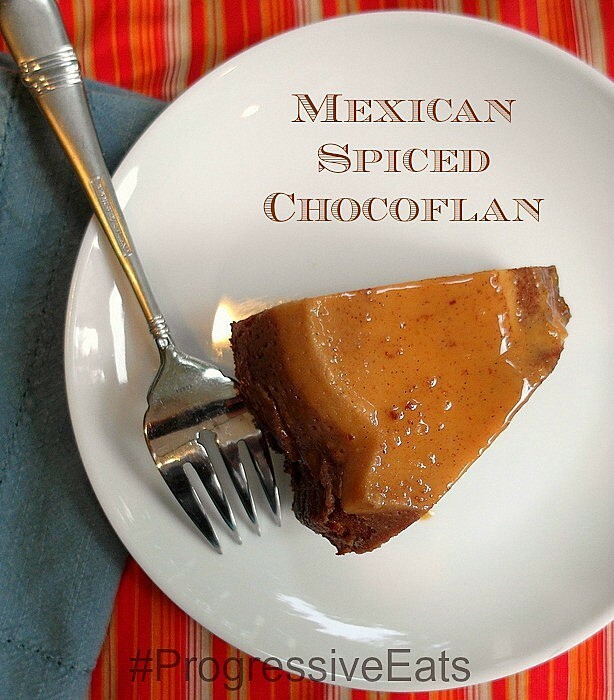 When Progressive Eats rolled around again with the theme Tex-Mex, chosen by Milisa of Miss in the Kitchen, I decided it was time to revisit chocoflan and do it up right this time. 2.11 So What is Progressive Eats? I went straight to one of the foremost authorities on Mexican food to get my base recipe: Rick Bayless. The man knows what he is doing. 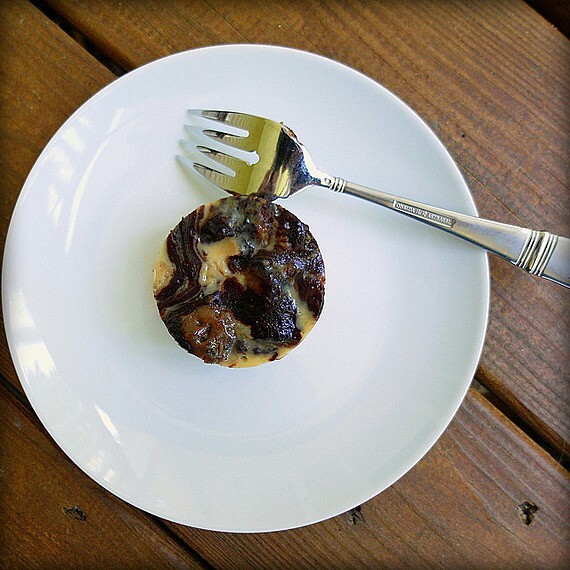 To his basic recipe (linked in my recipe), I added some salt and some spices to arrive at Mexican Spiced Chocoflan. And friends, this is totally dinner party-worthy. It is sweet, but not overly so. The cake has some hints of coffee and just a bit of heat, and the flan is smooth, creamy coffee-cinnamon flavored bliss. You can make one big guy like I did, but individual guys would be lovely as well, and maybe even more special for a dinner party. Or even a Progressive Dinner! 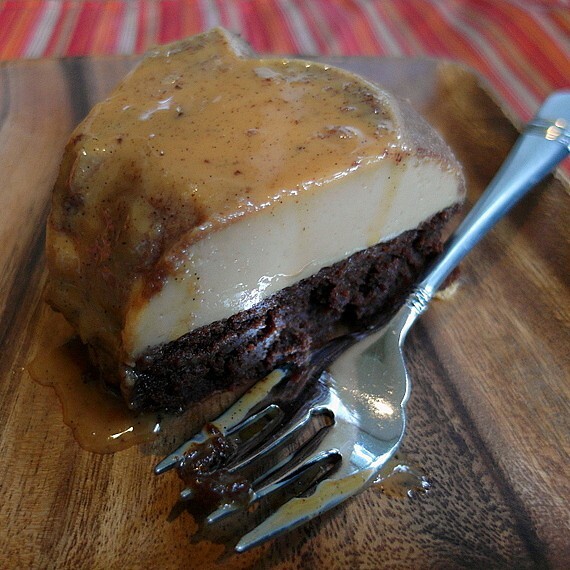 A layer of chocolate cake spiked with coffee-cinnamon-chipotle with a layer of cool, creamy coffee-cinnamon flan on top. Fantastic! Add sugar, salt, vanilla, cinnaon and chipotle powder. Cream until light and fluffy, scraping down the sides of the bowl as needed, about 6 minutes. Add the egg and espresso and mix thoroughly until completely combined. Scrape bowl as necessary. Whisk together the flour, cocoa powder, baking powder and baking soda. Add half to the mixer and mix on low for a few seconds. Add half the buttermilk, then the rest of the dry mixture followed by the last of the buttermilk. Scrape sides of bowl as necessary. Beat on medium-high speed about 45 seconds. Spray a Bundt pan with pan spray and then dust liberally with flour. Knock out excess flour. Pour the cajeta, dulce or caramel evenly in the bottom of the pan. Spoon the cake batter in evenly and then smooth it all out. Strain the flan mixture through a fine mesh strainer slowly right on top of the cake batter, moving the strainer around so you aren't pouring it all in one place. Pour enough hot water in the larger pan to come at least an inch up the sides of the Bundt pan. Bake for about an hour, or until the cake is firm. Let cool to room temperature before turning out onto a platter. 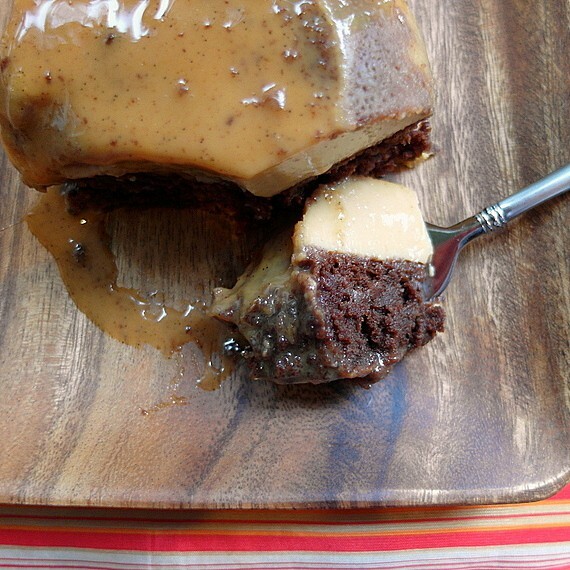 Spoon any cajeta stuck in the pan over the cake. Now that you’ve had dessert, please go have the rest of the meal (including another dessert. Yay)! Everything, as always in the amazing #ProgressiveEats group, sounds phenomenal. So What is Progressive Eats? This month’s theme is Tex-Mex, hosted by Milisa of Miss in the Kitchen. You’ll love all these Tex-Mex inspired recipes that take us from summer and into fall. Oh, my gosh, Jenni! This is the BEST flan ever. I think even picky Bill would dive right in! Your pan makes for even a more exquisite presentation…love this!! This guy has been in the back of my mind for years now. I am so glad he turned out the way I wanted him to! Tell Bill he is welcome to a slice or two! This month’s theme is The Bomb, and I for one would be thrilled to enjoy this progressive dinner In Real Life, including a slice each of this guy and your gorgeous cheesecake, Liz! Oh good lord I want this now! Now! Amazing! And my favorite flavors and textures! And easy… I cannot believe how easy the steps are to arrive at something so spectacular! Gorgeous!! Exactly! I can’t believe it took me forever to make this guy–so good Jamie! Oh goodness! At 6 am in Colorado, And I want this for breakfast! Who says dessert is after dinner only! Wow – that is a stunning dessert! What a beautiful presentation and perfect for our Tex-Mex dinner theme! As soon as I saw the theme was Tex-Mex, I knew I’d be making chocoflan. Progressive Eats gives me a chance to play! What a fun idea! Love the flavors. A perfect ending to our dinner. Thanks, Barbara! I’m toasting you with one of your strawberry margaritas! This looks, and sounds amazing. There is something similar that Lenny’s cousin’s wife’s mother makes, it is a Portuguese sweet bread with a flan attached. I never stop at one slice. Who am I kidding, I just keep going. Must make this! It has been on my radar forever, Denise, and I’m so glad I finally just made it! I’m not surprised there’s a Portuguese version–you need to make that guy so I can see it! My friend, the photos are so compelling, I just know the flavors have to be as tasty as they appear. Pinning! Thank you so much, Brooks! I’ve been wanting to make a chocoflan for a really long time. So happy with how it turned out! 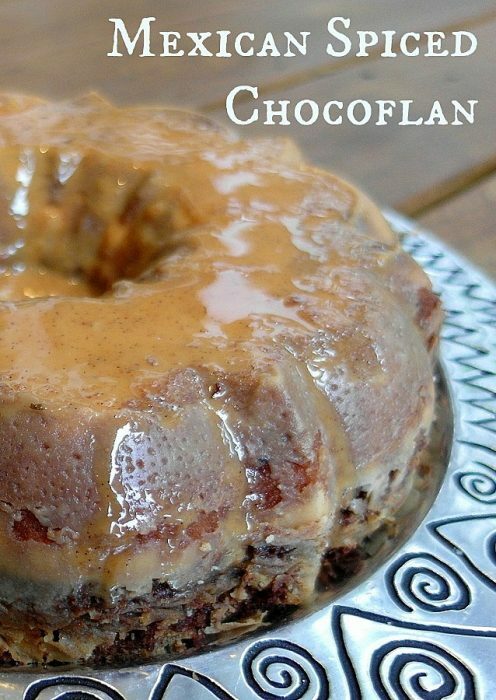 Ooooh, I have been DYING for you to make a chocoflan, Jenni! The first time I tried it, I went with the ATK version, and thought it needed some spicing, and love the ideas you’ve brought here. Also, I baked mine in an angel food tube pan, and it was kinda ugly. I’d love to see this in a swirly pan, but have doubts about it surviving all those sharp edges. Man, I’d hate to see a calorie/fat analysis of this dish. I think I could eat half of that cake in your pix. Amazingly, I have a pint of cajeta in the fridge I made a couple weeks ago and have been saving. 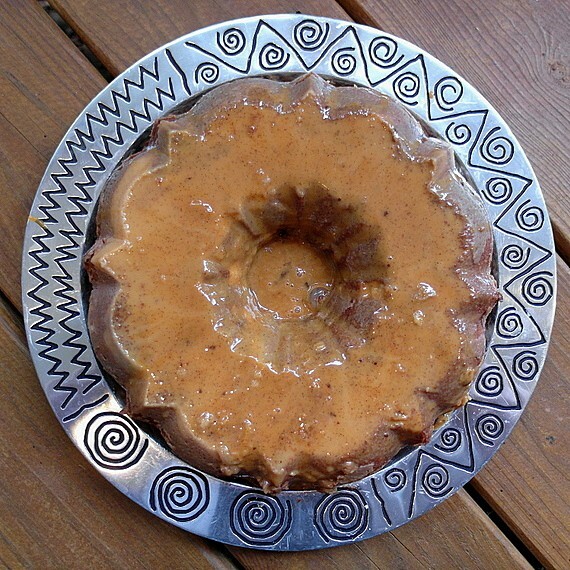 I love the tangy, goat-y flavor cajeta brings, and here’s its chance to shine! That whole menu looks great, too, esp. the hatch chile soup and the salad with cilantro dressing. I think they all deserve a test run. It has been on my list for a long time. So glad I went for it! I just used a regular Bundt pan for this guy. Since the cajeta is in the bottom of the pan, you get a flat top on the flan. Pretty! Sounds like you need to get into the kitchen, pronto! That Hatch chile soup is definitely on my list, too! I just looked over that Hatch soup recipe again and y’know, I think I’m going to make it as a sauce for chicken enchiladas. Oh my word, does that ever look delicious! I just kinda want to plant myself face-first into the middle of it 😉 Perfect, perfect, perfect dessert for our Tex-Mex menu! Thanks, Lana. 🙂 I know what you mean; I cannot resist a good flan. Put it on top of chocolate cake, and I’d walk through fire (or al least *near* fire) for some! lol As soon as I heard Tex-Mex, I knew my date with chocoflan had arrived! We actually just had another piece last night–still fantastic. Looking forward to next month’s cocktail party! Had everything on hand except the evap milk and chipotle powder, so I subbed half&half and 1/8 tsp of cayenne. Cake and flan were deeelish, but next time might leave the espresso powder out of the flan so there’s a little more contrast between the two layers. I decided I wanted to try a top/lining layer of straight caramel (like you do for creme caramel) instead of the cajeta, and I do NOT recommend it. The caramel mostly stayed hard in the bottom and didn’t depan as a sauce with the cake, despite the bain marie. Not sure why, since it always works perfectly for me with creme caramels. In future I’ll stick to the cajeta or dulce lining layer. Otherwise, big homerun on this indulgent treat. Coffee/chocolate lovers in your eating audience will adore it. P.S. — I did make that Hatch chile sauce mentioned above and used as a sauce for enchiladas, and man was it great. Jenni, that Hatch chile sauce, which I tweaked almost beyond recognition by adding green peas to it, got retooled by a blogger who cooks on an Aga range, as I think I’ve mentioned I do too at my primary client’s house.